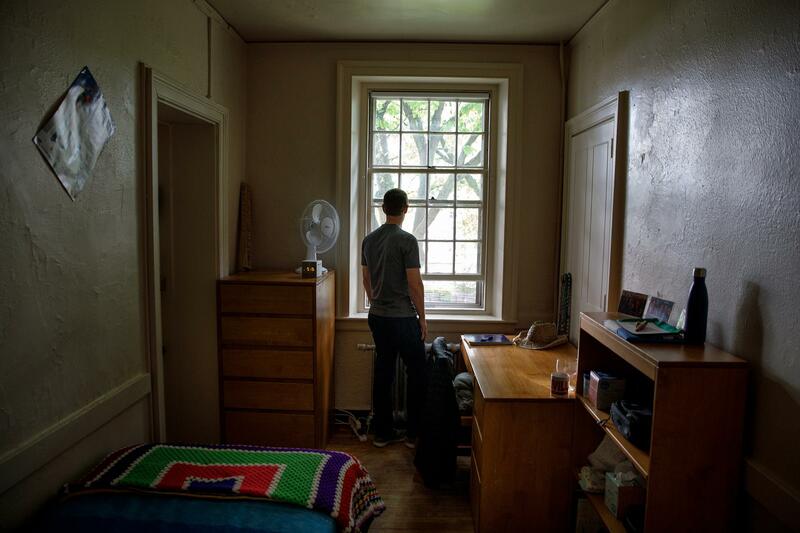 Facebook CEO Mark Zuckerberg looked out the window in his old dorm room at Harvard University in 2017. Does Mark Zuckerberg desperately long for the days of hanging out in his college dorm room, building a website to boost his popularity on campus? For a guy who couldn’t wait to get the heck out of dodge and hightail it to Silicon Valley to enhance his company’s profile, it sure seems like it. What’s life like inside America’s most famous dorm room? During his testimony in front of the Senate Judiciary Committee and Commerce Committee Tuesday, the first day of a two-day tour as the Facebook founder addresses officials about privacy issues and the Cambridge Analytica scandal, Zuckerberg repeatedly reminded those watching that his behemoth company got its start as a seedling inside of his Cambridge digs — a place that has been described as a mecca for some students, albeit one that’s a bit dingy and tight on space. At least four times during his remarks, Zuckerberg noted that Facebook came from such humble roots. A senator also brought it up. Some people on social media also saw the references to the dorm as a tactic to paint himself as a young entrepreneur who simply created something from scratch, and dodge his latest controversy. 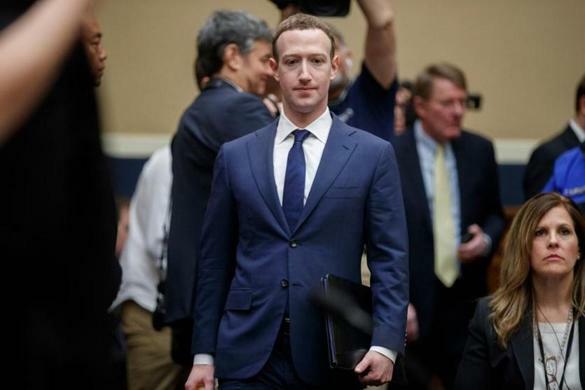 The first reference to his dorm room came somewhat early during the hearing Tuesday, after Senator John Thune asked Zuckerberg how his apology — more than a decade after Facebook’s launch — is different than past apologies made by the chief executive. “Why should we trust Facebook to make the necessary changes to ensure user privacy and give people a clearer picture of your privacy policies?” Thune asked, according to a transcript of the hearing posted by The Washington Post. Zuckerberg countered the question by pointing out that while Facebook has certainly hit a few snags over the years, it would be “impossible” not to considering the company grew at such an exponential rate. 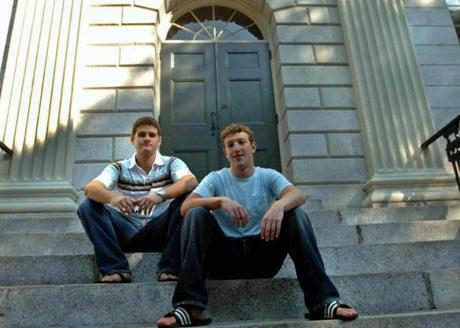 Facebook co-founders and Harvard students Mark Zuckerberg (right) and Dustin Moscovitz at Harvard Yard in 2004. As the South Dakota senator continued to question Zuckerberg — this time about how the company identifies hate speech and how it’s handled — the Facebook bigwig again pointed out that, quite frankly, he was once just a guy in a hooded sweatshirt tinkering with an idea in his Harvard dormitory with his pals. Later, when talking about content policy enforcement, Zuckerberg, again, noted where it all began, as if he were reminiscing fondly about his time at Harvard before he eventually dropped out. 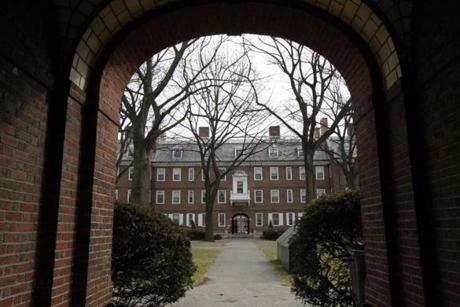 Kirkland House at Harvard University, the dorm where Mark Zuckerberg invented Facebook. There was even a reference, not specifically to his old room, but to his time at Harvard in general, and how he had few resources to build his platform. The dorm-room chatter came up so often that one official, Senator Gary Peters of Michigan, finally hinted that perhaps the origin story was not so relevant now. 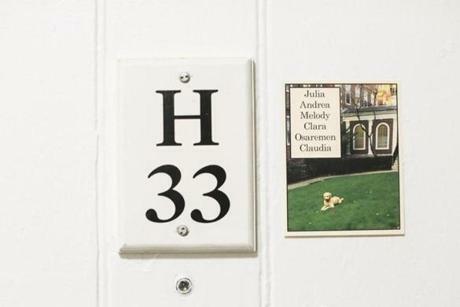 A plaque for room H-33 hung next to the names of residents in Harvard's Kirkland Hall. The room is where Facebook founder Mark Zuckerberg lived when he attended Harvard. First mention today (of many, no doubt) of Zuckerberg starting a company in his dorm room. Who has their Zuck bingo cards? "Wanna pay for not getting targeted ads?" As Zuckerberg keeps pressing the idea that he started Facebook in his dorm room, Rep. Rush presses on him that Facebook is no longer the little company that he started in his dorm room. The constant references to #Zuckerberg's dorm room infantilizes a company with $40 Billion annual revenues.